We just finished covering 1,000 miles of mostly paved roads through America’s Heartland. 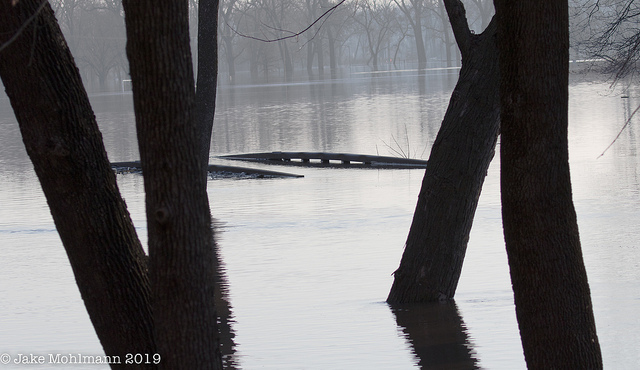 Some of the worst flooding in the history of the state was witnessed as the mighty Missouri and Platte Rivers swelled to 8 feet over flood stage leaving lots of people homeless. On top of that a rare 'Bomb Cyclone' had just passed through leaving any bits inland open water completely frozen. Despite all this the tour went on with enthusiasm as we enjoyed birds en mass all week. The rails of a bike path bridge show the high flood waters. 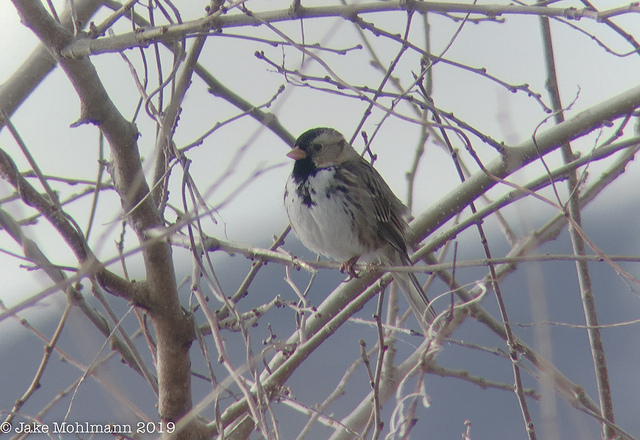 Every day we had a chance to run into several sparrow species including flocks of Tree, skulky Song, and stealthy Swamp Sparrows in the marsh vegetation. By far the highlight of the sparrow show was a very confiding Harris’s Sparrow that sat close by and sang at length for our delighted group. Also, despite most of the woods being flooded some early arrival Red-headed Woodpeckers greeted us at Fontanelle Forest. This male Harris’s Sparrow was a highlight of the tour. 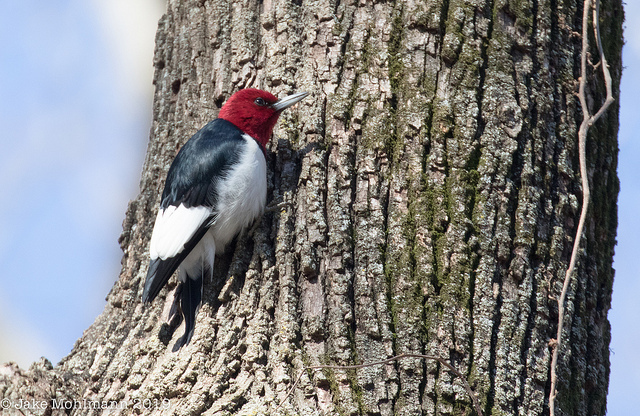 Red-headed Woodpeckers have already arrived. Scattered throughout this region are scads of ponds and lakes which held a nice array of waterfowl with great looks at Wood Duck, Bufflehead, Common Goldeneye, and all three Merganser species. By far the most abundant fowl were the geese. Probably due to the recent weeks of plunging temperatures and lack of forage the Snow, Ross’s, Cackling, and Greater White-fronted Geese were passing over en mass and we were surprised to look up wherever we went and see hundreds pouring overhead. 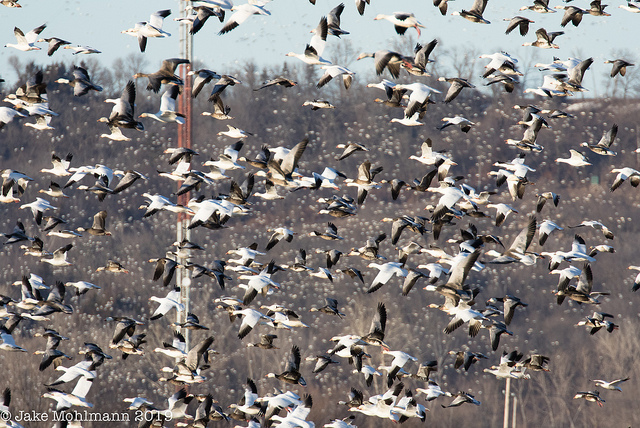 Droves of Snow Geese abound this week. Sandhill Cranes were abundant as we watched at sunset as many of the 300,000 estimated birds came pouring in overhead landing to roost along the Central Platte River. This is truly an indescribable experience that needs to be experienced to be believed! Thousands of Sandhill Cranes flyby at sunset. Our last days led us to the famous Sandhill region of Central Nebraska, a feature that covers about ¼ of the state. 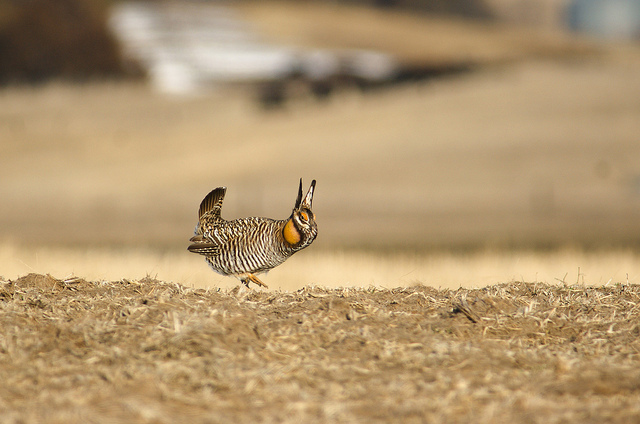 Our main goal here was to view the extravagant courting rituals of Prairie Chickens and Sharp-tailed Grouse. We succeeded in capturing both of these mind-blowing phenomenon on film, at close range, from our cozy bus blind set amongst the rolling hills. 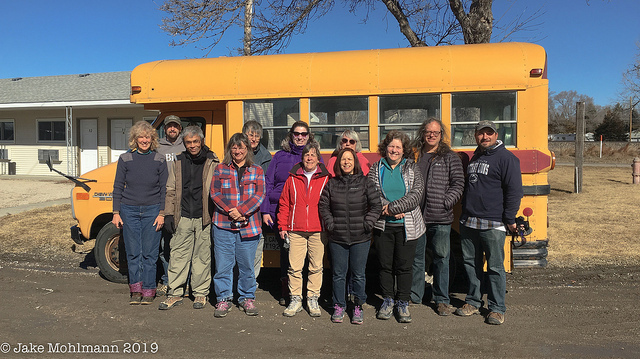 Group after witnessing Sharp-tailed Grouse displays.